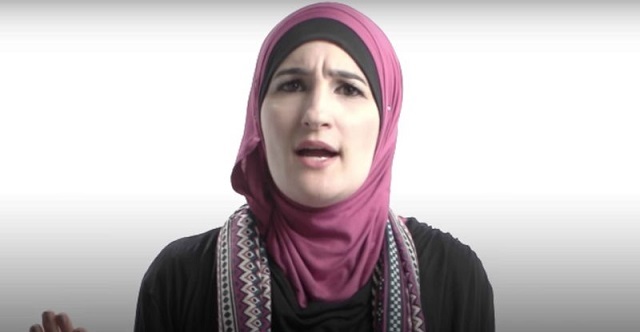 Women's March leader Linda Sarsour reacted to Susan Collins' voting in favor of Judge Kavanaugh by launching a vicious, hate-filled attack on "white women." 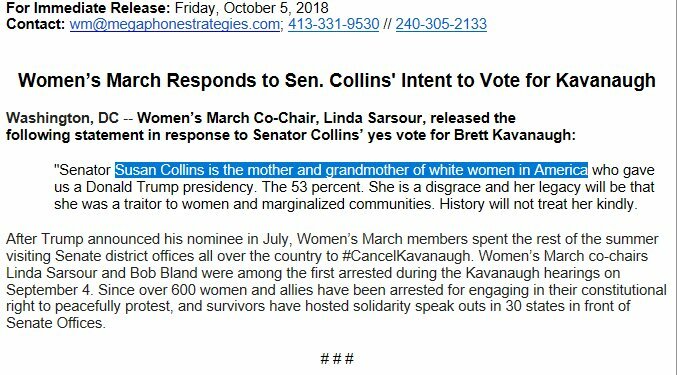 "Senator Susan Collins is the mother & grandmother of white women in America who gave us a Donald Trump presidency," the Women's March leader said in a statement on Twitter. "The 53%." "She is a disgrace & her legacy will be that she was a traitor to women and marginalized communities. History will not treat her kindly," Sarsour said. Susan Collins voting for Kavanaugh is the perfect snapshot of white women bringing Trump and his administration over the finish line. Just got off a plane. Thinking an awful lot about the way a white capitalist patriarchy rewards the white women willing to defend and uphold it. Susan Collins is not being blackmailed. She has not been bullied. She voted to preserve her perceived political power, just as many other white women have done and will continue to do. Dear White women, please do not 53% this up on Nov. 6. "White women, who enjoy proximal power from their association with white men, have often served as the white patriarchy�s most eager foot soldiers." White women gripping on to the sliver of power they retain through a proximity to a patriarchy that WILL NOT PROTECT THEM WHEN IT COMES DOWN TO IT. They'll step on your shoulders then kick you and your daughters with those same feet. Watch. White women like Susan Collins are the problem. They empower mediocre, problematic, white men. They prop them up, and promote them, even when its detrimental to their own existence. In case you haven't got the message yet: the modern Democratic party is a fanatical hate movement. As President Trump said last week at his rally in West Virginia, "Your ancestors did not pour out their blood, sweat and tears so that we could sit at home while others try to erase their legacy and destroy our proud American heritage." Register to vote immediately and show up for the midterms.